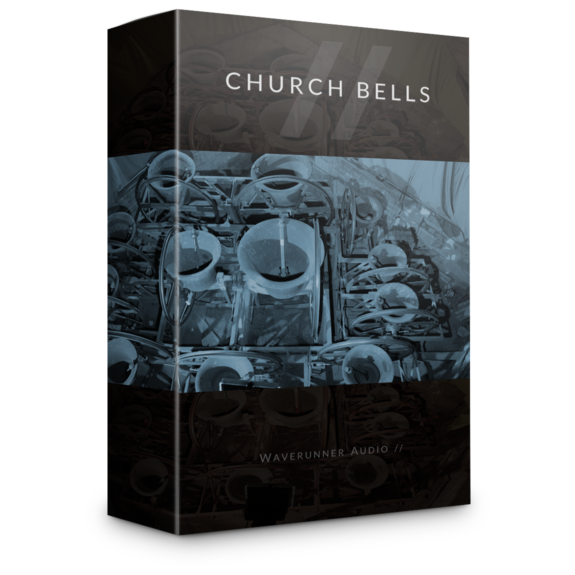 Waverunner Audio’s Church Bells brings beautifully captured bells of an historical English church to your fingertips. Each of the 12 Bells were recorded from 4 positions at multiple round robins in and around the church; we scaled the ladders and laid many metres of cable to 2 rooftop, 1 church yard and 1 bell tower positions. The result is a flexible, playable church bell instrument with a rich, authentic sound. Alongside the traditional rope pull technique, we took the opportunity to capture a second, unique articulation; walking the scaffolding of the bell tower, tapping the clapper on the bell by hand. This seldom, if ever heard sound is included with 2 bell tower mic positions. The sound is a softer timbre with a more intimate ring. A bonus Bell Synth is included; an organic synth created using the spectral information of the bells. The bells have their own unique tuning which have been preserved for this sample pack. Please listen to audio demos for comparisons to 440hz tuning.